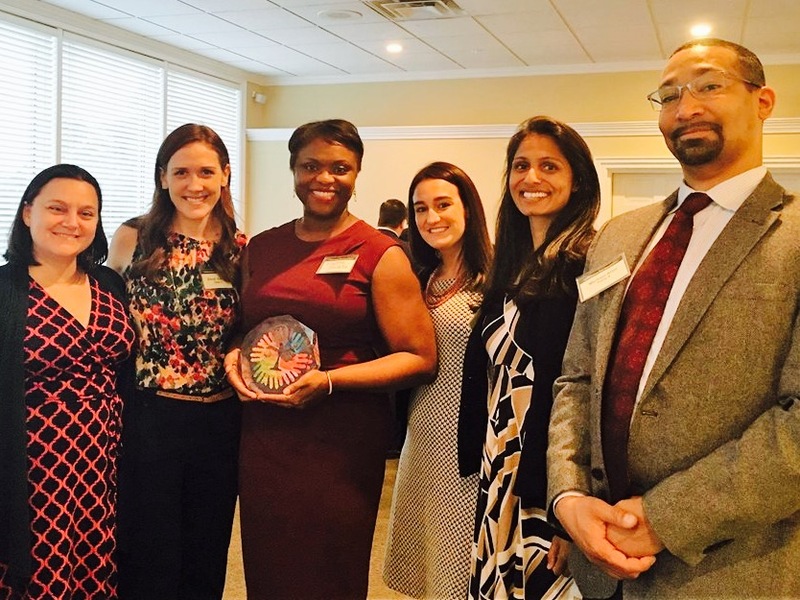 The Tallahassee Bar Association (TBA) presented its 2017 Champion for Diversity in the Legal Profession Award to Hopping Green & Sams (HGS) during TBA’s annual Table for 8 event on Tuesday, September 5, 2017. The award recognizes members of the legal community who are advocates for diversity and inclusion in the profession and serve as role models by influencing and inspiring others to understand the challenges and barriers that some lawyers experience in the practice of law. HGS attorney Vinette Godelia accepted the award on behalf of HGS and spoke about how the firm’s core values contribute to its commitment to diversity and inclusion. Amelia Savage, Michael Alao, Vaishali Desai, Sarah Sandy, and Erin Tilton also attended the event on behalf of HGS.